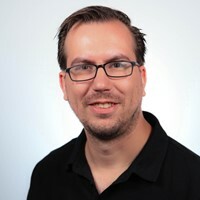 Henk is a Cloud AI Architect and Microsoft AI MVP from the Netherlands. He started out as a software developer in the late '90s and later moved on to the role of architect. He now guides organisations in their cloud adventure, with a strong focus on creating intelligent cloud solutions. Wouldn't it be great if an application could tell you what it recognises on the things you upload, who it identifies on the pictures, tells what it sees, make smart crops and filter out negative comments? In this talk I will introduce you to the world of the Microsoft Cognitive Services and show you how to use them to extend applications. We dive into some use-case scenarios and I will show how easy it is to integrate them with other Azure services like Functions, Cosmos DB and Azure Search. You will see demos and walk away with ideas on how to use this in your own applications. With the rise of machine learning, affordable artificial intelligence is now available through APIs. In this talk I will introduce you to the world of Microsoft Cognitive Services APIs and show you how to integrate them with Umbraco. We dive into topics like computer vision, facial recognition and language understanding. With just a few lines of code we will infuse some AI into Umbraco. Join this session and don't get left behind in these exciting times. The need to jump on the AI track is more relevant than ever. With the commodity of hardware and the computing power of the Cloud, Artificial Intelligence is at our fingertips and waiting to be implemented in new innovative solutions. This workshop gives a quick start in the world of AI by combining Windows IoT, a Raspberry Pi with some sensors and the power of Microsoft Cognitive Services. You will learn how a Raspberry Pi works, dive into topics like face identification, language understanding and how to train your own vision model. The workshop is very hands-on and at the end you have made a robot that can talk and uses its vision and ears to interact with its surroundings. The bot will run on a Raspberry Pi powered by Windows IoT. The bot will be able to see, hear and talk using different Cognitive Services. After the workshop, you know what Cognitive Services are and have hands-on experience implementing them in a program. You can connect sensors to the Raspberry and use their capabilities in your programs. • Want to learn what all the different Cognitive Service are and how to use them. • Learn about the Raspberry Pi works and write software for it. Bring your laptop running the latest Windows 10 and Visual Studio 2017. You will need an Azure subscription to activate the Cognitive Services APIs, if you don’t have one please create one before the workshop. The AI revolution is coming, and you can be part of it! In this session, I’ll take you along on a AI-First technical journey, from patient identification handled by Cognitive Services, efficiency improvement with natural language processing, handling data in Azure and building & delivering the App with Xamarin and Visual Studio Team services. "Beyond the usual suspects, Emerging Cognitive Services"
In this session we explore the outer limits of the Cognitive Services universe. Cognitive Services are great for face and object detection but there is so much more. At the moment there are over 40 API’s that can add cognitive capabilities to applications. We dive into some unknown services like authentication through the speech API, add gesture recognition with Project Prague, find events with project Cuzco and much more. Join this session and find out, through a lot of demo's and use-cases, how these services can be used and what they are capable off. With machine learning becoming more and more an engineering problem the need to track, work together and easily deploy ML experiments with integrated CI/CD tooling is becoming more relevant then ever. In this session we take a deep-dive into Azure Machine Learning service, a cloud service that you can use to track as you build, train, deploy, and manage models. We zoom into the building blocks provided and show, through some demos, how to use them. At the end of this session you have a good grasp of the technological building blocks of Azure machine learning services. Just waiting to be used in your own projects afterwards.